You can find them in your mobile phone, on your PC, on the big screen and even in board games. Want to get in on the Walking Dead action? We’ve got just the things for you. A renaissance of zombies has been happening as if they are acting true to their nature. The culture—or myth—experienced a boom ever since ‘The Walking Dead’ came into the collective consciousness of people. 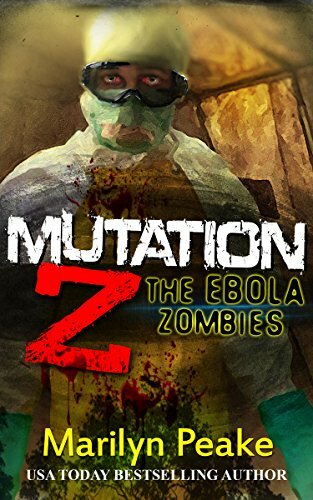 It’s managed to invade popular culture to the point that it’s become a cool thing to prepare for the zombie apocalypse. However, zombies weren’t just a recent creation by George A. Romero. The ‘romance’ with the undead started with the Haitians, whose folklore involved these reanimated corpses. There were various methods that the Haitians blamed for their zombies and it’s not limited to magic. The word ‘zombie,’ however, wouldn’t be used until around 1819 in Brazil, where it was known as ‘zombi.’ The word comes from a morphing of the Kongo words nzambi (god) and zumbi (fetish). It was the book ‘The Magic Island,’ in turn, that brought the consciousness of the zombie culture to Western shores. It has become the stuff of movies, and even more recently, it’s also become the stuff of different media such as games and the like. What’s better than a zombie movie? Well, it’s a zombie RPG where players can become what they’ve always wanted to be—the Carl or the Ash Williams of the day. Description: Zombie ﻿﻿Mutation is played on a ‘multilevel 3-D game board,’ with a few buildings providing cover for the players. However, the game doesn’t concentrate that much on who’s winning—it’s a desperate fight for survival, where a player’s friend could easily become a for in the blink of an eye. That, at least, could be due to the game’s main goal: to make it to the top of a player’s assigned building, where they and any other survivors lucky enough to make it will be rescued by a helicopter. A ﻿﻿turn-based game, players will have three actions in each turn: move, attack, and break-away. Players can either move and attack, attack and attack, or breakaway and move in a turn. The players uses a mix of molded hero figures, cards, as well as molded zombie figures to create the world and figure out their next move. There’s also a nice reversal wherein players can become a zombie during their gameplay. When a player turns hero zombie their goal changes into stopping the other players from reaching their safe zones. Players can also choose to play a zombified Hero from the start of the game. For players who like: The chance to become a zombie. Description: Zombies!!! 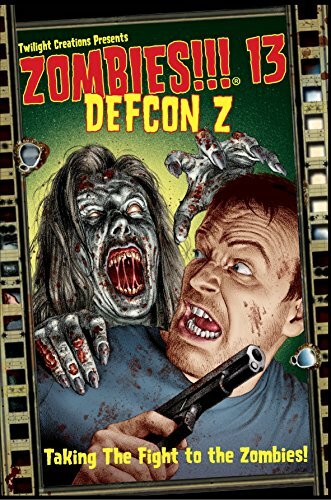 13: DEFCON Z was started by Todd Breitenste and is perfect for people who would love to play the type of game that they feel a part of. The production, continued by Mark Bordenet and Daren Hiner, is currently on its second edition in Kickstarter. Five years of experience isn’t wrong, for certain, and tons of input from different retailers as well as fans have gone into the development of the game. The current edition of the game has been modified with additional features such as better art, a bigger box to keep all future expansions in, a revision in the game’s rules, as well as a brand-spankin’-new Female zombie, for female players. Players following the game will be delighted to know that the future expansions for the game do more than just add content to it. In the future expansions, players will battle it out through malls, military bases, schools, circuses, and even jail, while adding other possible zombified enemies like dogs and corpses straight out of the cemetery. Description: A lot of Kickstarters started out as ideas, and Zpocalypse appears to be one such game. The game is composed of different mutated zombies that would not be out of place in a game like “Left 4 Dead.” There are different miniatures representing player characters, and of course, the token pet survivor. The game can be played by two to four players each taking the role of a survivor living in a basement/fallout shelter. The aim is to make it through day by day in the zombie-infested world, living off scavenged food and ammo while avoiding the mutated abominations dotting the land. However, the dead being what they are, a player’s base is in constant danger of being overrun for good by the hungry undead. Victory is achieved by players who manage to ride out the zombie apocalypse as the last man standing, although team play is absolutely encouraged, despite the competitive nature of the game. Description: It’s as if the threat of a zombie outbreak is not enough—battling for scarce supplies as well as the fact that your friend could turn foe any minute is what City of Horror brings. 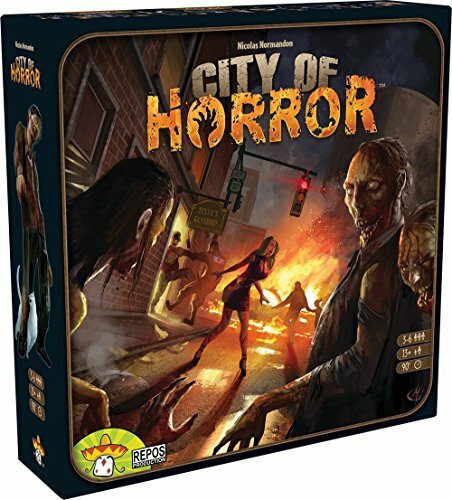 City of Horror is described as a ‘game of survival and negotiations’ which is really already existent in shows like ‘The Walking Dead.’ It’s a fresh take on a board-game perspective, what with players needing to vote who to sacrifice to the voracious undead. Players take turns moving characters around the city, and every once in awhile, the game forces them to pick who among the characters will live and who will die. The victorious stand to get rescued at every end of turn. The game ends when only one victim survives, to be rescued by the hampered recon team. It’s also a game of thoughts and movements. Players must negotiate to save their own skin; the only other time that a player manages not to become zombie fodder is when they talk among themselves who to sacrifice. Description: Two teams comprise the game—one side takes on the role of the survivors, while the other takes on the ‘fun’ role of trying to eat the survivors’ brains. The Heroes must make it through night after night, with teamwork needed more than ever. The Zombies, however, work to propagate the survival of their species, and to initiate the Heroes among their ranks. The setting is in a small town where an outbreak happens, and gameplay is fast-paced, allowing for sudden events to happen. Players take turns in making their move. Zombies and Heroes are given a turn each, with Zombies spawning more and more of their kind each turn, while the Heroes take a ‘Move Action’ and either attack or defend their safehouses. 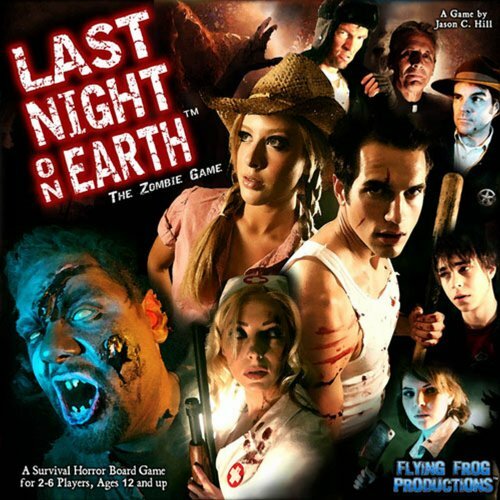 Last Night on Earth ends when the scenario is played out, or if the Heroes successfully manage to make it through the night with their brains and bodies intact. 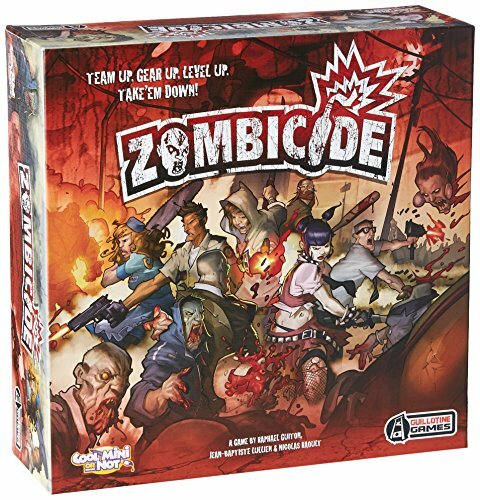 Description: Zombicide plays out differently than the other titles in this series. Where individualism and ‘lone wolf’ tactics are encouraged, this game propagates teamwork to make it through the apocalypse. There is space for 1 to 6 players—meaning, perhaps, that a single player can get through the game just as much as six players could finish the goals. It might also be the zombie genre’s answer to Dungeons and Dragons, as character growth through XP gain is encouraged. The game comes in two flavors as well—one package is deemed as the ‘Classic Package’, while the other is dubbed the ‘Black Plague’ package. Zombicide is a mix of survival horror and beat’ em up, as the game site says, although it is presented in a hugely visual fashion which makes the game easy on the eyes and, perhaps, more creative than previously thought in terms of character development. 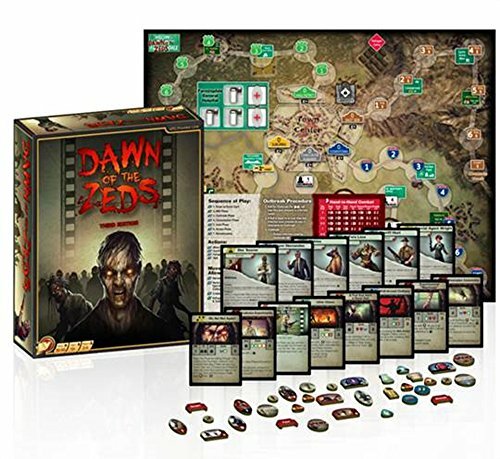 Description: Another Kickstarter original, Dawn of the Ze﻿ds: Third Edition is still facing the rigors of Kickstarter fund-raising. The game is played by 1-4 players and it’s also a quick RPG—the whole thing could be done in as little as 90 minutes. The game plays out like the best MOBAs or massively online battle arenas out there. Players must defend the town of Famingdale, as well as its five outlying villages, from the undead horrors threatening it. Zeds (Zombies) will try to outnumber the heroes as well as take over the town’s capital. Basically, though, it’s exciting to see how long defenses will hold against an endless horde of the undead. 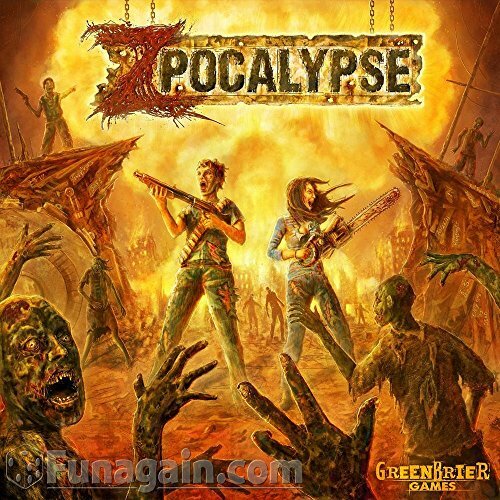 Description: Perhaps the clamor for Zombie games will never really die down, as seen in the presence of three games in this list that are directly from the many Kickstarters currently fighting for existence. 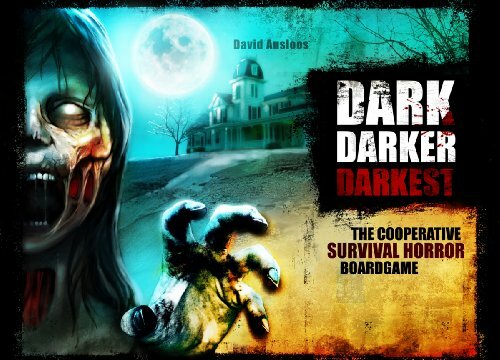 What makes the Queen Games offering, Dark Darker Darkest, original is that it doesn’t focus solely on the survival aspect of the zombie apocalypse; instead, players (2-5 at one session) work together to solve the mystery behind the outbreak, hidden in the house of the game’s antagonist/protagonist, Dr. Mortimer. The synopsis of the game reads like a plot for a Resident Evil game. Players must brave the Doctor’s Manse, where the key to stopping the zombie outbreak lies. It is revealed that Mortimer is among four end-boss Zombies the player(s) will eventually face at the end of the game; proving that, indeed, Resident Evil may have been one of the inspirations of this game. Each player has a specific set of abilities as well as items that correspond to that player alone. It’s a game of cooperation yet again, as it seems all the population of the mansion clamor for the intrepid adventurers’ brains. 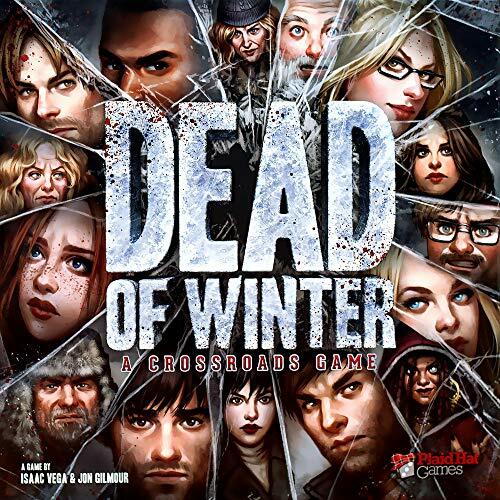 Description: Dead of Winter gives you the chance to channel your inner Carl. This game—to be played by 2-5 players—lets players take on the challenge of leading a small band of survivors trying to make it through the post-apocalyptic work of the zombie outbreak. The players are survivors trying to make things work in a weakened, almost dying colony of survivors. Each player leads a small group of survivors in the colony. While players need to work together to stay alive, each player is also given a secret task he or she must accomplish to win the game. It’s exciting to note that the risks of those secret task range from the most harmless quirk to a devastating resolve to jeopardize the colony. These are essential for the games’ different outcomes—either everyone wins, some lose, or everyone loses. These games are enough to awaken the Carl among us, but one thing’s for sure—they are proof enough that, since their arrival, the zombie craze is definitely here to stay.